The band is having a summer stadium tour to celebrate the 30th anniversary of its release. Guitarist The Edge and Bono of U2 perform during the 2016 UCSF Benioff Children's Hospital Benefit Concert during the 2016 Salesforce / Dreamforce Conference at the "Cloud Palace" Cow Palace on October 5, 2016 in Daly City, California. 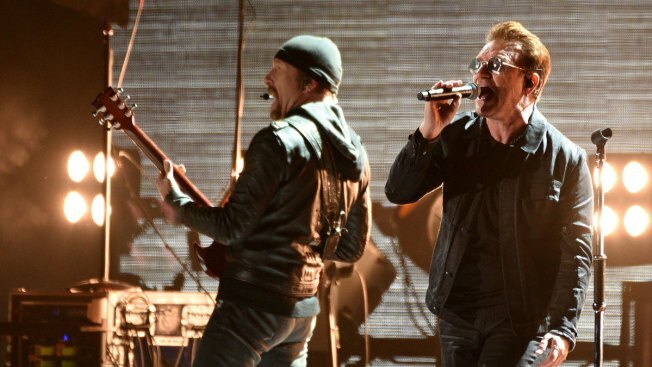 U2 will play the entirety of its classic 1987 album, "The Joshua Tree," at each stop during a summer stadium tour to celebrate the 30th anniversary of its release. The North American leg of the tour kicks off May 12 in Vancouver and wraps up on July 1 in Cleveland, before heading to Europe. The tour includes a June stop at the Bonnaroo Festival in Tennessee.